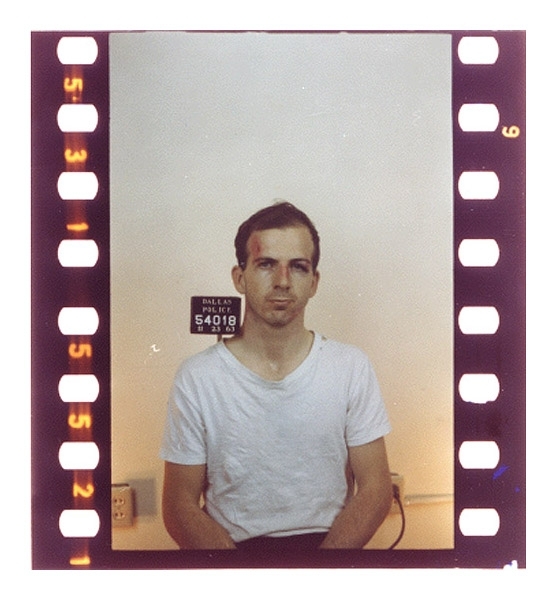 Dallas police took this mug shot of Lee Harvey Oswald on November 23, 1963 after he was arrested for assassinating President John F. Kennedy. Submitted by Reorx on Sat, 2011-02-05 03:42.
he didn't shoot jfk .. Submitted by Nonnie on Fri, 2011-06-10 12:05. Submitted by BADASSHUMMER on Sat, 2011-01-15 13:00. He had 1 hour of his life left to live... After they took this picture and brought him downstair to unmark cop car.. He was shot and kill.. Submitted by gotmyionit on Fri, 2011-01-14 20:44. DONT GUESS YOUR ESCAPE PLAN WENT ALL THAT WELL!! Submitted by starla on Wed, 2010-09-08 19:16.